Ryan Griffen played 202 games for the Bulldogs after making his debut in 2005. 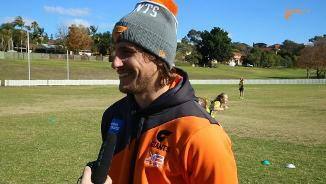 He is a dual best and fairest winner and was All-Australian in 2013. 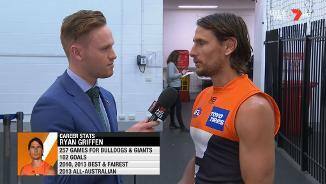 Griffen arrived at the GIANTS in a trade deal with the Western Bulldogs which also saw the club receive pick six in the 2014 NAB AFL Draft. After establishing himself as a dependable member of the GIANTS in 2015, injury hampered his 2016 season before he was hindered to just three games in 2017 due to persistent ankle issues. Another GIANT to suffer a terrible run of luck last year, with the veteran playing just three games because of two separate ankle injuries. Griffen went down against North Melbourne in round three and, after fighting through three months of rehabilitation, hurt himself again at training and didn’t play again. With a host of young players pushing for more opportunities, he could have a fight on his hands to win a spot in the best 22 this season. 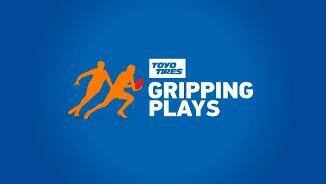 But if his body is right, his hardness around the contest and ability to carry the ball will be invaluable. The former Bulldog is out of contract at the end of the season. The former Western Bulldogs captain endured a tough season in 2016, restricted to just 15 games because of back and hamstring problems, his worst outut since 2007. The 30-year-old averaged 21.1 disposals and 5.3 tackles a game and at times showed how damaging he can be as a hard-running midfielder. 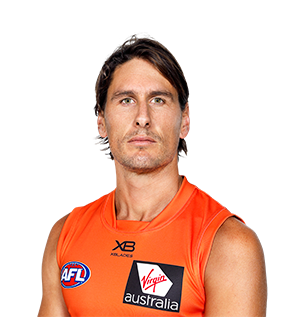 Griffen is still an important plater to the GIANTS' midfield and his contested footy is vital to the team's chances this season. After his shock arrival at the GIANTS, much was expected of the former Bulldogs captain and, although he was a valuable player, his output was down. Wore the tag of the opposition's stopper most weeks early in the season, allowing younger teammates more freedom and that proved a huge help to the team. Played 21 games, including some at half-back, and this could be his permanent position this year. The GIANTS landed one of the biggest coups of the off-season when they signed the Bulldogs captain. Griffen had just completed his first year as skipper and was coming off another excellent season when he dropped a bombshell and announced he was leaving the Whitten Oval. At 28 and with plenty of good football in front of him, the highly decorated Griffen is just the player the GIANTS need at this stage of their AFL infancy.